You’ve written a content offer that answers questions your prospects have about your business, and you’ve created a page to house it. Now, how do people get there? 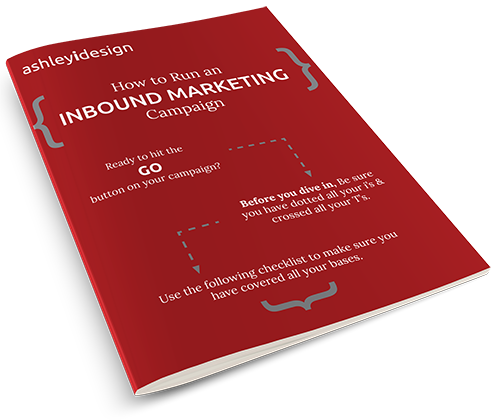 Landing pages are the starting point for implementing inbound marketing. It's sometimes the first touch a prospect has with your business and need to convey a number of things: trust, authenticity, expertise and a willingness to share knowledge with them. I’ve been writing blog articles of one sort or another for ten years. First, I wrote on my cycling and hobby site, then for my own business. Now I write here, for occasional guest posts and for my clients. Why is blogging so hard? What are the obstacles in your way? You know blogging is important, so what stops you from getting it done? Here are my top three issues with posting new articles, and some tactics to overcome them. Blogging is hard. I should know, here I am preaching about how posting regular content is vital to your marketing efforts, and yet I’ve missed posting a blog for a few weeks. Sometimes client work takes priority, and other times life gets in the way. Sitting down to brainstorm, research, write and edit, all before posting live on your site, takes dedicated time and effort that may be eclipsed by other priorities. Not to mention having to share that post on social media later on, and making sure images, SEO and a call-to-action are all set. So, my blog has been a little quiet of late. For me it's the busy season, full of new clients and their projects, and existing clients looking to make improvements to their site, not to mention my clients on retainer whom I do regular work for. What Bucket is Your Marketing Agency In? I've worked with my fair share of marketing agencies in the past few years. Some I don't work with anymore due to a whole host of reasons, but most I still do. When it comes to inbound marketing, there are a few distinct categories that marketing agencies fall into. Congratulations! Another week is over and you've just published a sterling article. So now you're heading into the weekend full of excitement knowing you're getting a lot of readers and Facebook shares. But let's be honest, deep inside something's bothering you. I'm talking about "writer's block" or what I fondly call the “blank screen” syndrome. You think you've already exhausted all the topics you could write about your niche. You. Don't. Know. What. To. Write. Next.